Make it a fancy dinner kind of night with this linguine tuna dish! 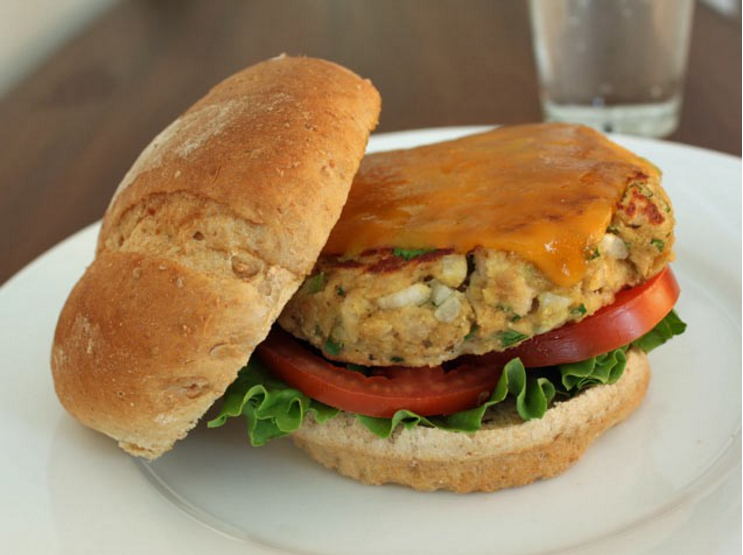 Developed by chefs at the Oregon Coast Culinary Institute, this recipe is one that you won’t want to miss trying out. 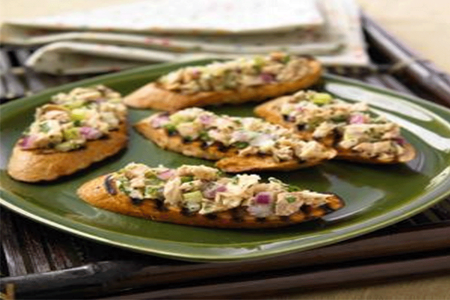 Skip the tuna on toast and try this recipe it may become your favorite way to eat tuna. 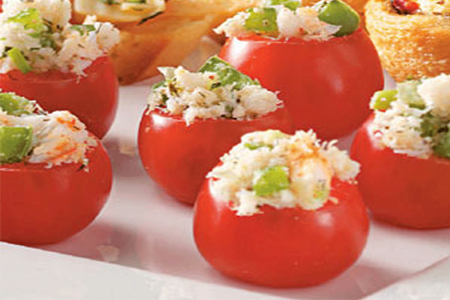 It’s great as a party food, appetizer, or potluck dish. 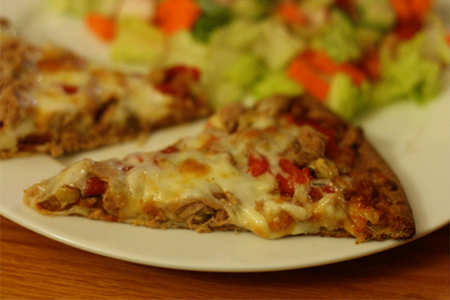 It can also be a nice light summer meal served on a bed of lettuce. 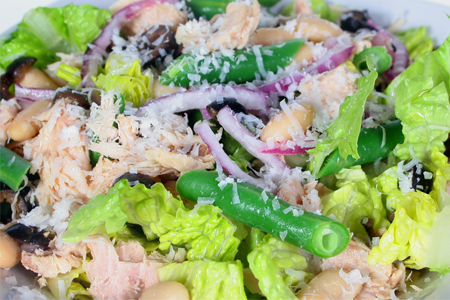 May is National Salad Month…Here is a great gluten free tuna salad to celebrate. 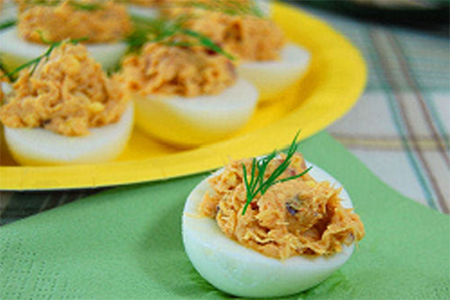 Deviled eggs are a popular component of cookouts and picnics – not to mention being a great snack at any time of year. 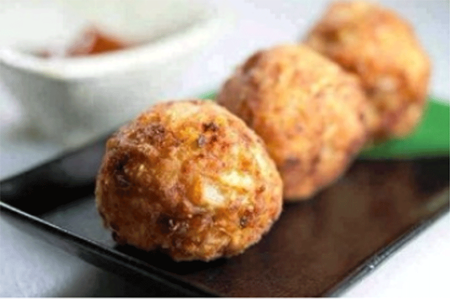 They can be made a day or two in advance, are perfect for eating with your fingers, and are almost universally loved. 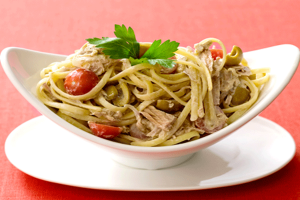 Great tuna recipe for the kids! 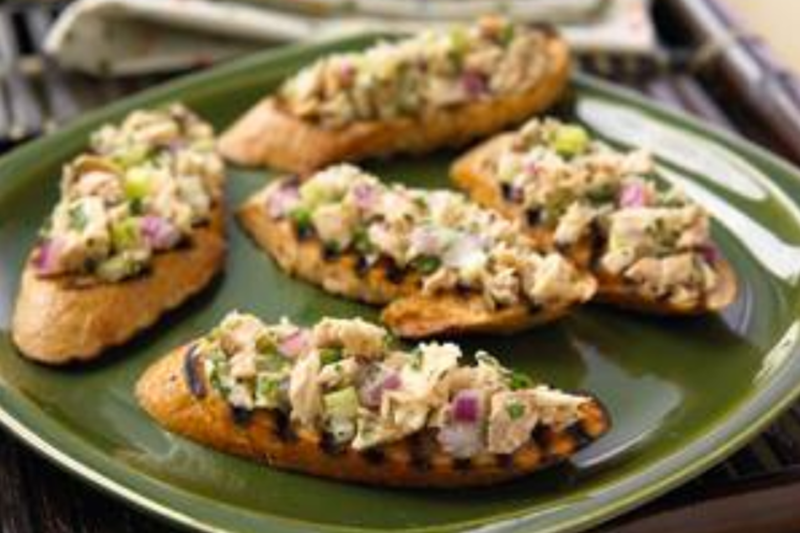 Spice things up tonight with this creative Bruschetta recipe using our Jalapeno tuna pouches! Developed by chefs at the Oregon Coast Culinary Institute, this recipe is sure to be a winner with crisp Romaine lettuce and heart healthy albacore tuna! Craving a tuna sandwich on a cold day? 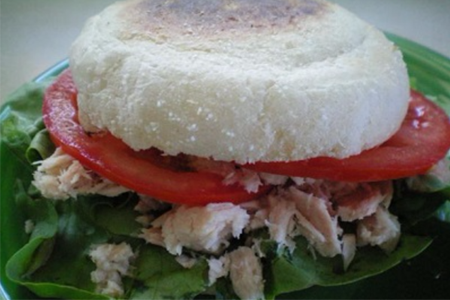 Try this recipe on a toasted english muffin for a warm, tasty lunch! 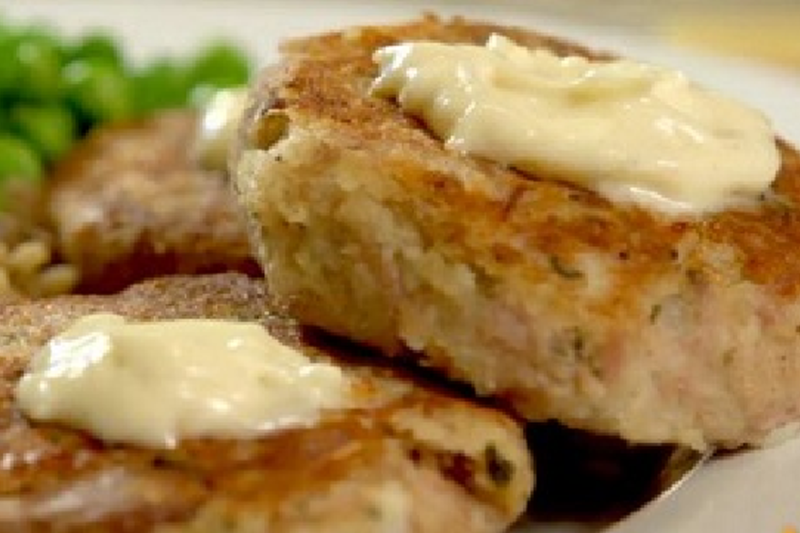 These fish cakes are loaded with protein and just the right amount of pep! 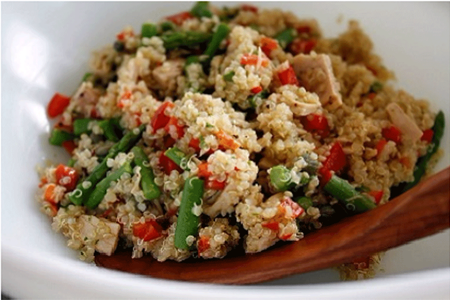 Serve with a side salad and veggies for a tasty, healthy meal!